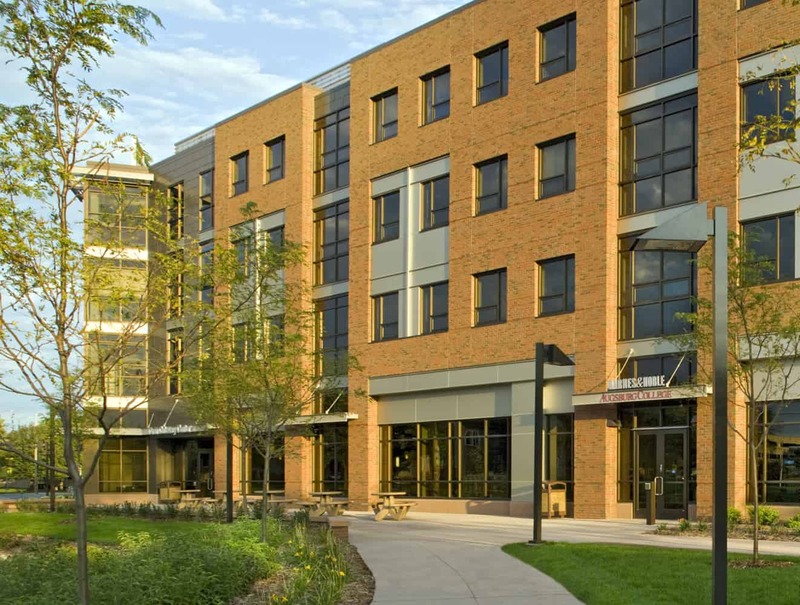 Oren Gateway Center at Augsburg College creates a distinctive entrance to the college, which was severed from its south-facing neighbors by the construction of Interstate 94 in the 1960s. 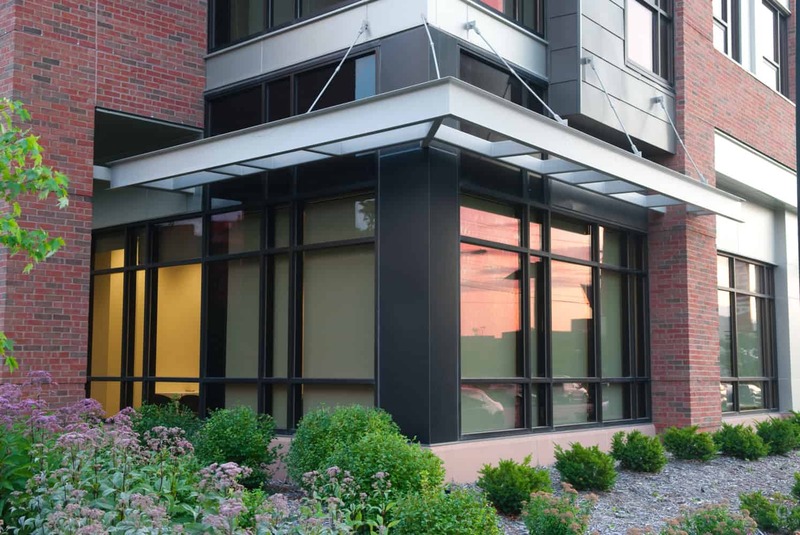 The building overlooks the University of Minnesota’s West Bank campus, energizing a vibrant pedestrian and transit “college corridor” and providing a positive community influence. 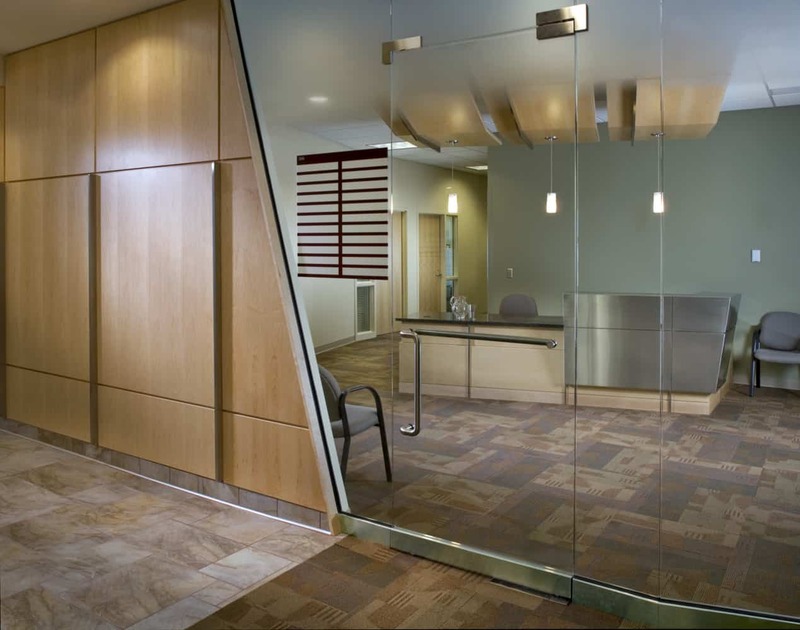 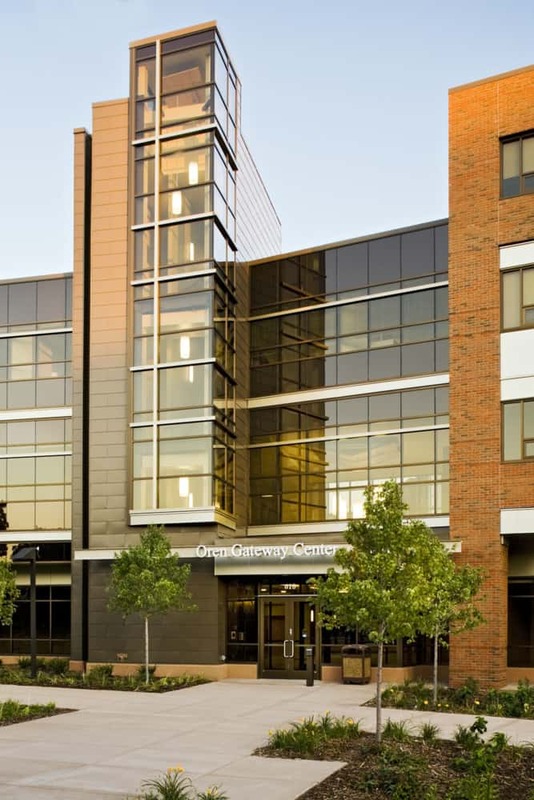 A multiuse facility, Oren Gateway Center serves a spectrum of needs. 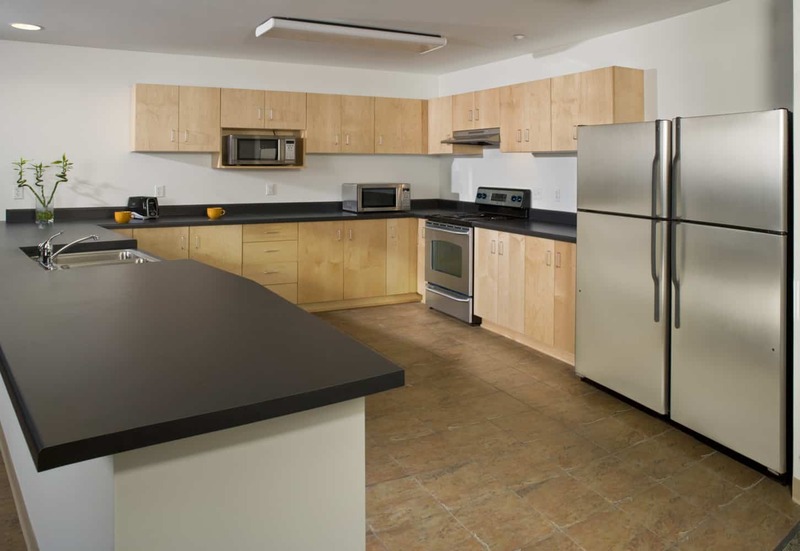 The four-story wing provides 106 units of loft/condo housing with underground parking. 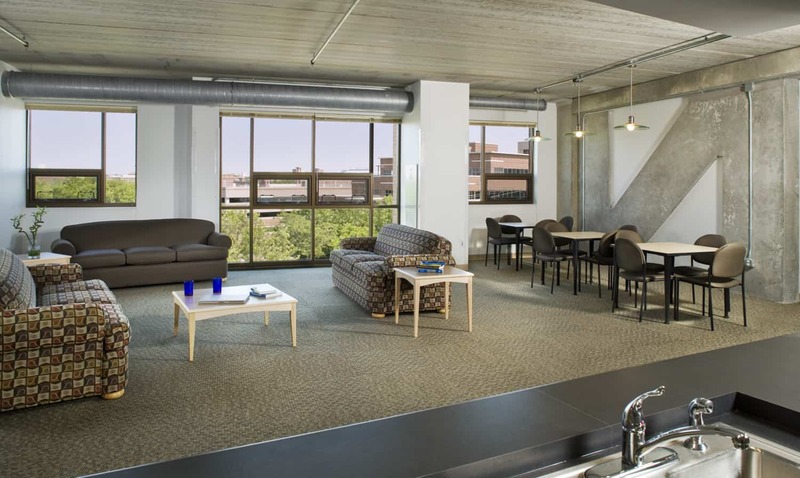 A unique, two-story concrete truss system creates an urban loft look and provides column-free, flexible design to other floors. 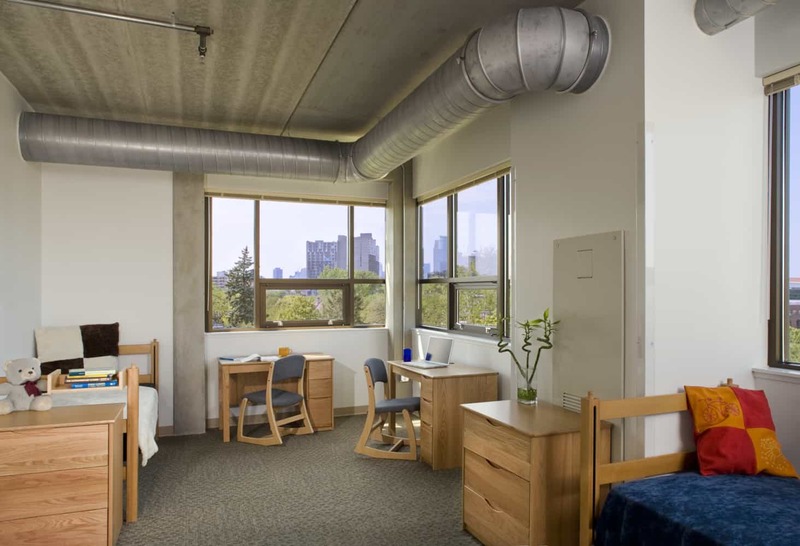 Two of the housing floors are dedicated to Augsburg’s StepUP program, the largest on-campus recovery housing community in the nation. 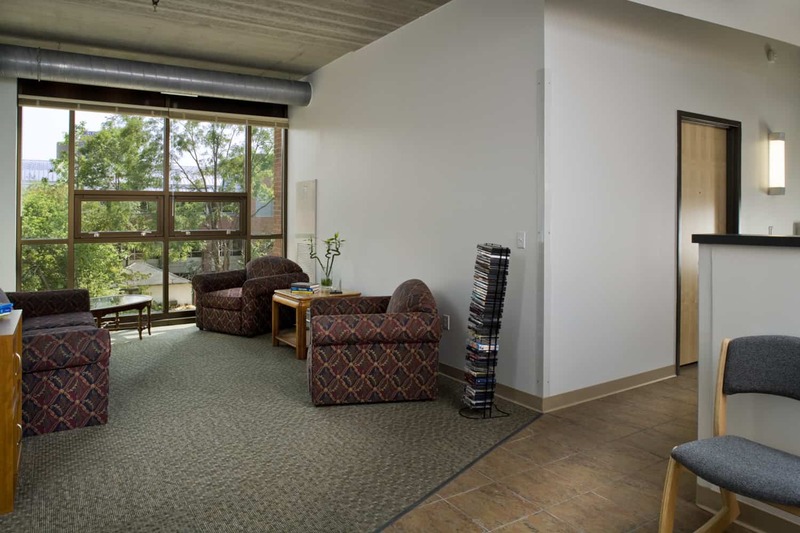 StepUP provides students in recovery from addiction with extra support, meeting space, and a sheltering environment to help them succeed in college. 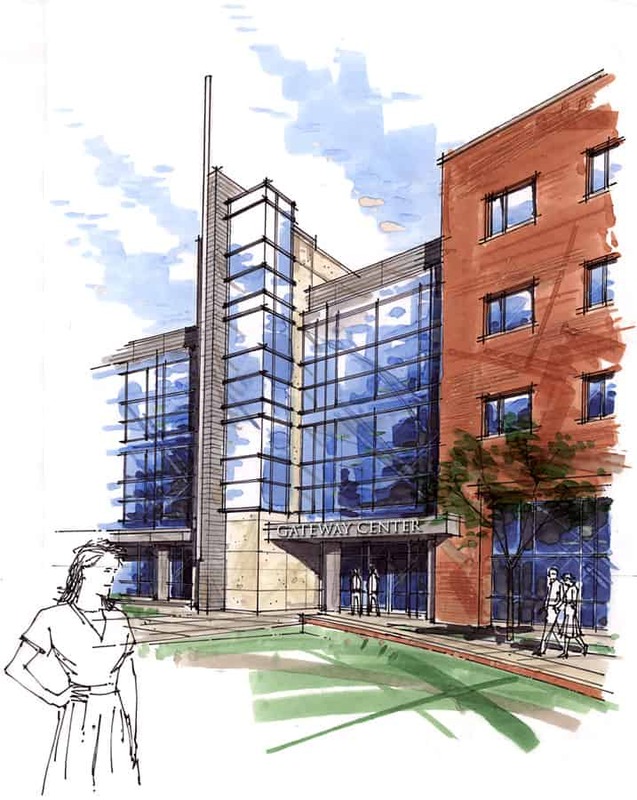 In addition, the Center provides a blend of innovative retail space, including a branded Barnes & Noble Augsburg Bookstore and a neighborhood café. 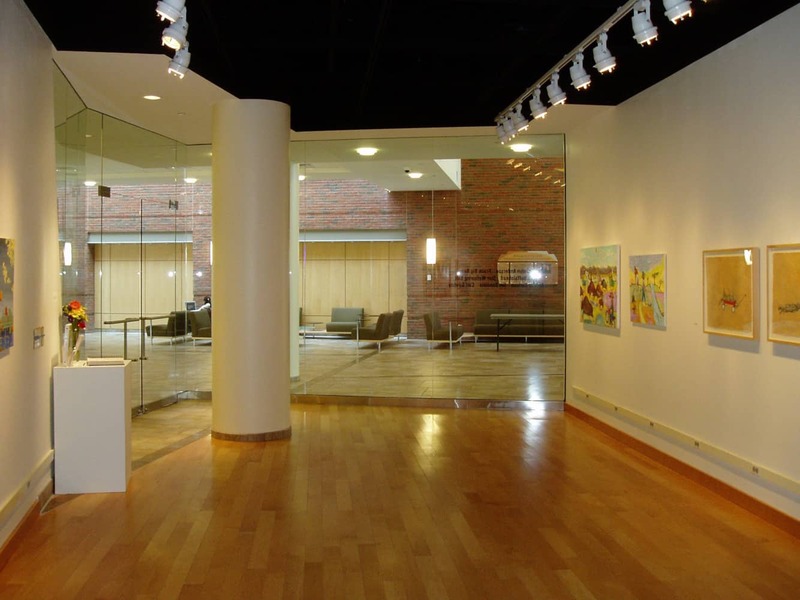 The Gage Family Art Gallery on the first floor along with community rooms provide neighbors a usable asset in their community. 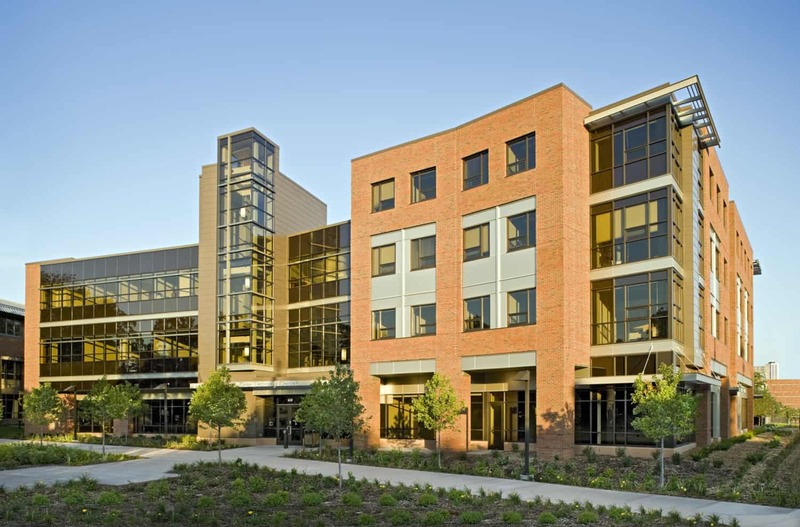 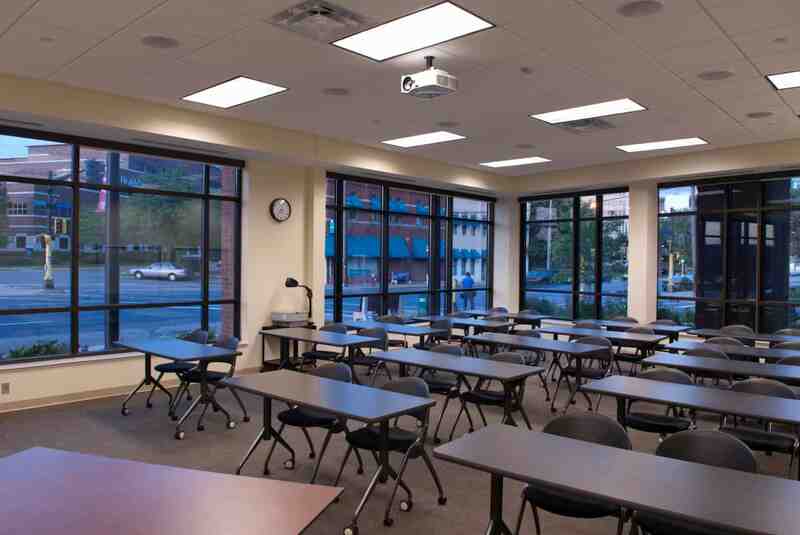 Housing the college’s MBA program, the Center includes classrooms and administrative spaces. 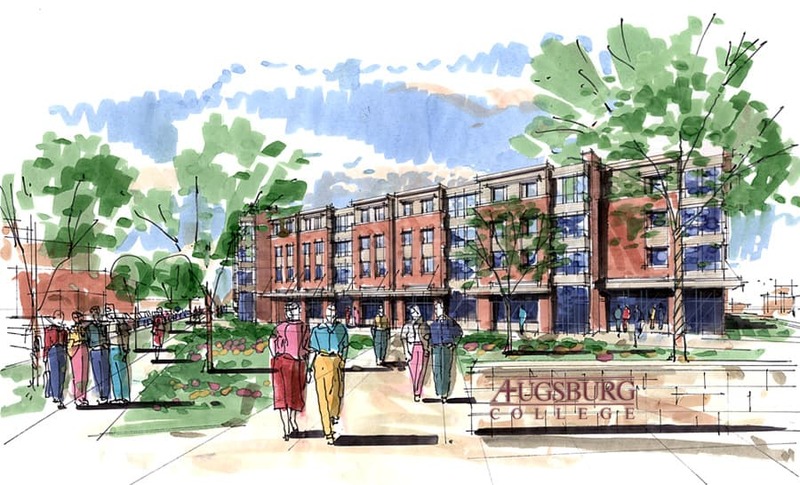 With an outdoor plaza providing a connection to the college’s Lindell Library and Hoversten Chapel, Oren Gateway Center illustrates Augsburg’s mission to combine education, faith, and service.